So much fun! :"This is so popular with my outdoor cat, she even knows the sound of the little key ring part when I pick it up. She cant wait to get running after it!" Colour of item may differ from displayed illustration. Playing for long periods of time with an intangible toy does not make for long-lasting fun. To avoid any frustration, the FroliCat Bolt Laser Cat Toy should not be left running for such long periods of time. Treats or an extra, physical toy (e.g. a dangler pole toy, ball or mouse toy) should be provided now and then. This will increase your kitty's chance of success and ensure a more enjoyable experience chasing after the little red dot. Hazard class level 2: The accessible laser radiation is only within the visible spectrum range [400 nm - 700 nm]. Brief exposure (up to 0.25 sec) is not harmful to the eyes. Warning: Avoid pointing the laser light towards eyes, as this can cause permanent damage. The laser is a nice price, but I would say that it would be better if the button was a different shape as it can be uncomfortable to press down for a long time. Also, the button sometimes gets a bit jammed, that could do with improving! 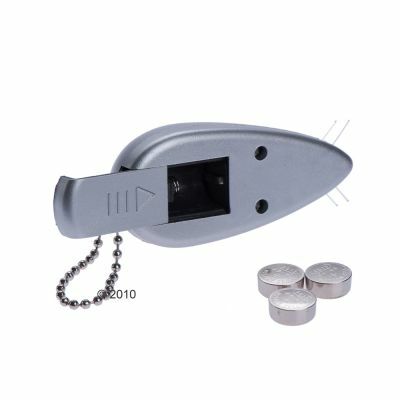 This is so popular with my outdoor cat, she even knows the sound of the little key ring part when I pick it up. She cant wait to get running after it! Good when works but switch arrangement fails. The switch stopped working within 10 minutes of use. I opened the case (three screws) to see that laser device does not sit securely in the frame - I have been unable to make it do so, so for the moment it is headed for the recycling depot. Having used 2 stick type pointers before, (& couldn't get replacement batteries for 1 of them), I thought I'd try this mouse pointer. The button is much better than other styles since it doesn't "press in" to your finger when continually using. 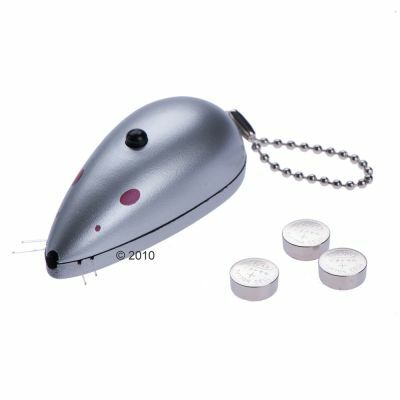 This mouse's batteries are still going, months on, & I have used it a lot because my little cat goes crazy as soon as she hears the sound of the "keychain", let alone see the laser dot. It has also proved invaluable when she doesn't want to come in! Our rescue dog has obviously been played with using one of these and she is shadow and light obsessive. Please do not use with a dog, it causes a version of ocd. It's definitely my favourite toy that I've bought him. I love sending him here there and everywhere trying to catch that little light. 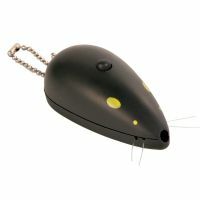 Have a cat that adores chasing after reflections and lights, so thought I'd pick up one of these for her to play with. Initially was excellent but after a few minutes the light seemed to become a little more dull. Tried to use it the next day and the red light comes on but is so weak you can't see it pointed on anything. 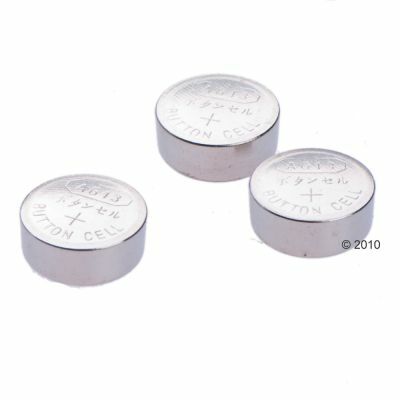 New batteries cost more than the toy itself, so not worth it. Shame. Jenson is a very active Devon Rex house cat. Despite having lots of things to amuse him, he loves nothing more than interaction with us humans. So much so that he wears us out! Then I saw this and cardiovascular workouts with Jenson are a thing of the past. We can sit in the comfort of our armchairs and watch him running after the red dot for hours on end; it's exhausting watching him! This is the best, economically priced toy I could ever have purchased so thank you Zooplus, it's brill! Toy is very cute, but the light keeps going off, still a new toy and not used that much, the batteries still should be in a good condition. 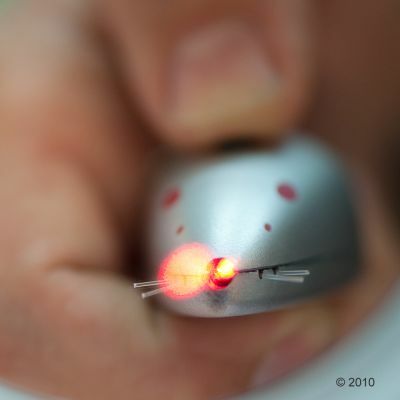 Thank fully I have an old mouse laser pointer, despite having it for many years it has been well used, tend to use this more often when I want the cats to run up and down the stairs. My cats do chase it but it is a very small laser beam, I have had a torch variety which I think is better. I like this laser mouse, my cat doesn't. He is a ball of wool, dressing gown belt, shoelaces kitty and there is no persuading him to use any purpose made cat toys. He looks at it as if to say "i'd rather go back to sleep now"
I've bought these before for my cats and they're usually brilliant, happy cats all round. However we just bought 2 more, one for us and one for my mother in law. One didn't work at all and the other works when it wants to. We tried new batteries and everything. Not sure whether they're now being made cheaper or we just got unlucky with a dud batch but these ones weren't good at all. Very disappointed. Here lives a very tired cat indeed! My cat absolutely loves this - so much so that just the sound of the mouse's keychain jangling gets him rushing up to me from anywhere in the house. He's an outdoor cat and very energetic, so this is ideal for burning off excess energy when the weather's bad - he'll thunder about chasing the infamous red dot for ages. The mouse itself seems to be good quality, and the laser is bright. The rounded on/off button isn't the most comfortable, and has to be held down to work, but I've no problem with this type of switching as it means it won't be left on accidentally. It's a shame that the mouse has to use three LR44 coin cells (not a fan of these), but they're doubtless needed to give the necessary power, and at least a set is supplied with the mouse. Quirky mouse design and brilliant quality! I am really delighted with this item, I had previously purchased a smaller laser pointed on a different website and was very unhappy with the quality so wanted to upgrade. 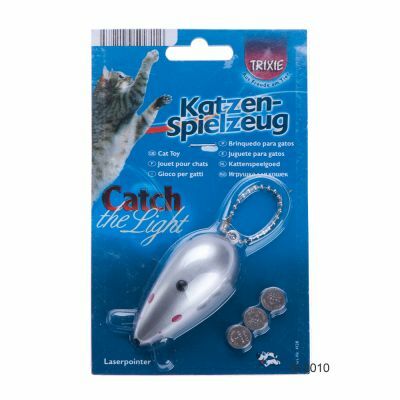 My kitty loves laser pens and similar 'catch the light' interactive toys. The item is a nice size and doesnt look or feel like a cheap production, the mouse shape is very quirky. The over all post and packing was of a great standard. Helpful tip. With these type of interactive hunt games don't forget to reward you kitty with his 'prey' a high protine treat would be perfect. Our cats love this, and we enjoy watching them chase the light across the floor, and up their cat tree. The only snag we find is that whenever we pick up the television remote control, we have two cats sitting waiting expectantly! My two cats love this gadget! They can spend ages chasing it and never get bored. The youngest cat even tries to switch it on himself, he enjoys it that much! Only downside is having to hold the button in constantly to make it work, would be easier if it had an on/off switch. Great value for money though and lots of fun.